← Malachi 4:4 come to mind? Over and over, Scripture attests that keeping Torah, obeying the everlasting commandments, leads to blessing. How Christendom ever abandoned the things God calls a “blessing” is a mystery and a tragedy that is theologically indefensible. May the people of God within the Christian religion have the humble audacity to read Scripture without deminational and doctrinal filters, then act on it. Praise the Lord ! 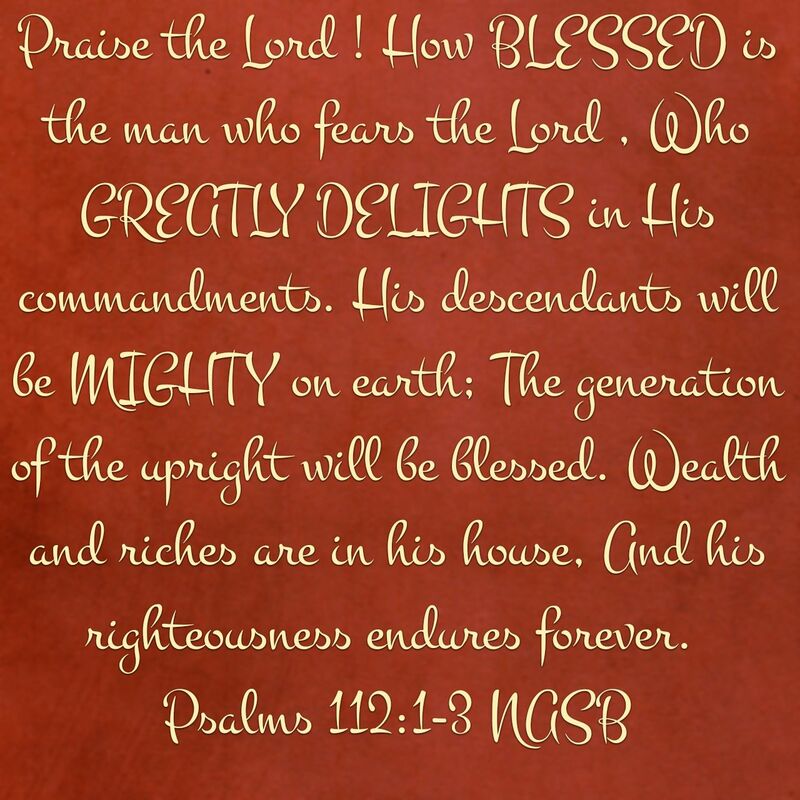 How blessed is the man who fears the Lord , Who greatly delights in His commandments. His descendants will be mighty on earth; The generation of the upright will be blessed. Wealth and riches are in his house, And his righteousness endures forever. This entry was posted in A Thought..., Visual Scripture and tagged blessing, christianity, come out of her, religion, Revelation 18, Torah Awakening. Bookmark the permalink. 1 Response to Torah obedience = blessing.